Our farmers deserve praise, not condemnation; and their efficiency should be cause for gratitude, not something for which they are penalized." Are vegetables really losing their nutritional value? A column in the newspaper titled, "1950 veggies probably were better for you," by Roddy Scheer and Doug Moss stated yes, indeed they are. Nutrient loss was attributed to today's farmers depleting their soil by planting faster-growing, more pest-resistant hybrids than were grown in the past. However, this is just another example of the types of misconceptions that continually shadow the agriculture industry, and this article is an attempt to set the record straight. Soil is the media in which we grow our food and fiber. It is the main building block of the farming operation. Farmers today spend a great deal of time and money to keep their soils healthy and at peak productivity. This includes installing conservation practices, soil and plant tissue testing and the responsible use of fertilizers and other soil amendments to maintain soil health. Farming with the facilities of modern science and technology increases the production. So, modern farming methods are must to get better farming production. 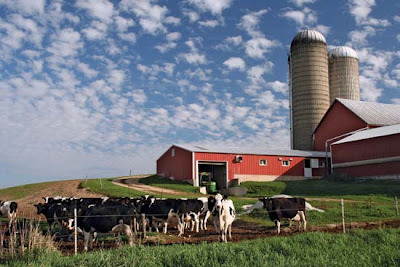 To learn more about modern agriculture and farming please visit the site linked bellow.